With over 300 pages of submissions, picking our Photographer with Heart was no easy feat. We are honored to have read the amazing applicants stories and are proud to announce our winners! Grand Prize Winner: Roxanne S.
Roxanne has volunteered with the American Red Cross for nearly 30 years, and has served internationally as a volunteer photographer for the Comboni Missionaries (a missionary group dedicated to serving victims of poverty, civil war, hunger, and disease), the Grossman Burn Foundation in Calabasas, CA, Hope for Kabingo, and more. 1. What inspired you to begin philanthropic photography? I would have to say that I didn’t set out to be a philanthropic photographer – it’s something that evolved as I became more involved in photography. 2. How did you get involved with each of the organizations for which you volunteer? The American Red Cross – My family was always involved and it seemed natural that I would be involved in some way. The owner of [the company that was] my first job would take me to various disasters teaching me how to shoot, but more importantly, to stay out of the way when working an active disaster scene. My pictures have been used on the local and national website to share the American Red Cross story, to help bring in new volunteers, and to drive the needed funds to support disaster relief. The Comboni Missionaries – My father introduced me to them in 1999 and I learned about their work sitting around their kitchen table hearing incredible stories of their time in Africa. After my dad died in 2001, I went to work for them – still fascinated by the stories I heard. One day I wanted to visit the missions, and off I went with camera in hand. Hope for Kabingo – HFK works to break the cycle of poverty in the village of Kabingo, Uganda, and the surrounding communities. I traveled as their photographer in July 2014 where I spent several days with their medical team, but also with the volunteer teachers and engineers. Grossman Burn Center – After a clinical psychologist met Christine Nakato, an acid throw burn victim in Uganda, she returned home trying to find her medical help. She made contact with the Grossman Burn Center who agreed, through the Grossman Burn Foundation, to make the arrangements for Christine to come to the US for the necessary surgeries and follow up medical care. The organization didn’t have anyone to go to Uganda to find Christine to bring her to the US for her surgery. 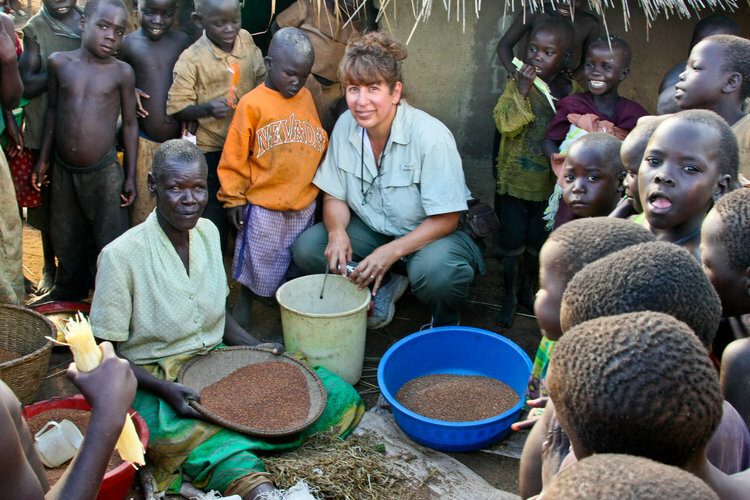 I wanted to help so I offered to go to Uganda to find Christine. 3.What are your philanthropic goals for the upcoming year? I love each one for the work they do and the commitment they have to their mission. I hope to continue helping each the three organizations by telling their story, sharing their successes, and bring attention to their cause, as best I can, through my images. 4. Describe the greatest accomplishments of your work? The most significant was March 2015 when I flew to Uganda to find Christine Nakato, photograph her village, and bring her back to the United States for several necessary surgeries that she otherwise would not have had access to. 5. 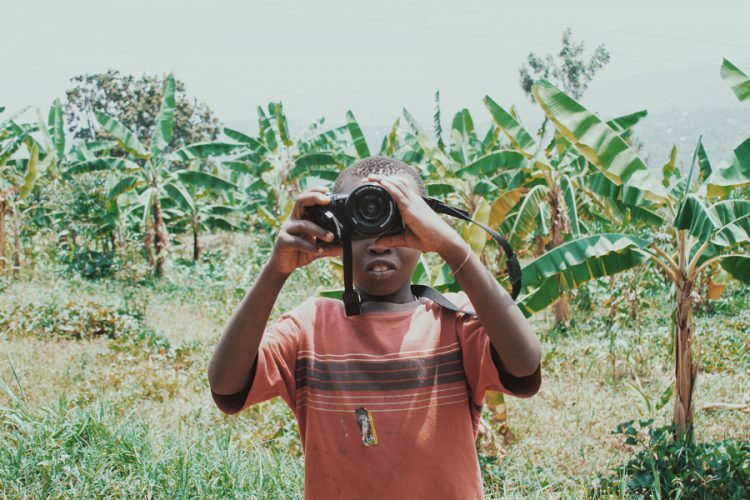 What advice would you give to someone looking to start photo-philanthropic endeavors? Shoot, share, and shoot some more. Tell your story through your images – allow them to pull at the heartstrings of those who can help. Use your camera to bring the reality of a situation to people who have the desire, time, and funds to make a change. As a photographer, you are a key link in telling the story of those less fortunate. Tim is a volunteer with “Now I Lay Me Down To Sleep” a 501c3 charity that provides the gift of professional portraiture to families who suffer an infant loss. He has provided his services to nearly 50 families over the past 3 years. Tiffany is the founder of Restoration Convoy, a nonprofit organization dedicated to providing homeless youth with free senior portraits. She travels the country in an airstream camper and provides teens with complimentary hair and makeup services, a brand new outfit, and (of course) their professional photos. Congratulations to all of our nominees and thank you to everyone who took the time to share such inspiring stories and again to our winner, Roxanne Schorbach for her amazing work. Nations Photo Lab will be donating $1,000 to Hope for Kabingo on her behalf. So wonderful to hear that your work is being recognized, but more importantly, that your skill and talent is driven by the want and need to help others. Congratulations! Thank you for highlighting these individuals. It never ceases to amaze me how much of a difference we can make in the lives of others by just caring enough to put others first!